Its been a little bit since I updated but i should really give an update. Ive been working hard at the gym and after some time where I would rather not be in my head to much I have managed to get through a 5k run. That felt really good to be able to get through that since like 6 months ago I couldnt even run 100m. Its been an experince almost every day. In the coming weeks though things are gonna have to knuckle down and keep at it. I have to increase the run by 1k every week as on July 3rd I have to run 10k at the Gold Coast Marathon. and when I say have to i mean i really have to. Ive paid my entry fee already. So if your not doing anything that saturday morning I would really love to have everyone’s support. If you can be there I would love it even more. So i just got back on Saturday from a week away in Port Douglas. I went away with my friend Ashina and it was a great time. It was so good to get away from work and just really in eseence do nothing. Managed to read 4 books during the week away and just generally have a good time. We stayed the first two nights at the Treetops Port Douglas which had an awesome pool area (which i spent a solid day sitting by it reading on the lounges). Then we headed north to a favourite of mine. Silky Oaks Lodge. Located about 10 mins from Mossman the place was fantastic!!! I got to spend 2 days relaxing in the rainforest. I found that the chairs in the room were the most comfiest I have ever sat in. So thats what i did most of the time. It was FANTASTIC! We also had a day tour included up to Cape Tribulation and that was such a good day. Silky Oaks Lodge has a very good Day Spa called the Healing Waters Spa. They do some very good treatments which a lot of ladies love but we had 2 treatments for free. So rather than having a massage, which I don’t normally like cause I always end up feeling worse than when I started i decided to try something different. I went for a “Man Maintenance Facial” It was a very different experience. I had never done something like that before and it was totally unfamiliar. I managed to enjoy myself up there, the food was great and I managed to keep myself on track as well. 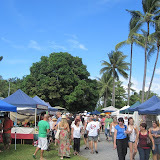 Once we left Silky Oaks we headed back down to Port Douglas and stayed at a hotel on macrossan st. Spent a day in Cairns doing a bit of shopping and doing general stuff. The rest of the time was spent just walking the streets of Port Douglas or reading. What more can you want from a Holiday.. relaxation and recreation. Now its back to work, apparently i might make top 10 this year if i work a bit harder. I will have to crack down and really get into it! But otherwise its 6 weeks till the Gold Coast Marathon and the 10k run which I have entered. Lets see how it goes! So ive been thinking about this for a while, this isnt a big list, and there is a lot of travelling stuff on here. I am happy to add things if people have suggestions. If you are to lazy to use this link or the link at the top right of the page then here is my list.